It’s Fall, and this means the North Pacific comes to life and starts sending larger swell our way. 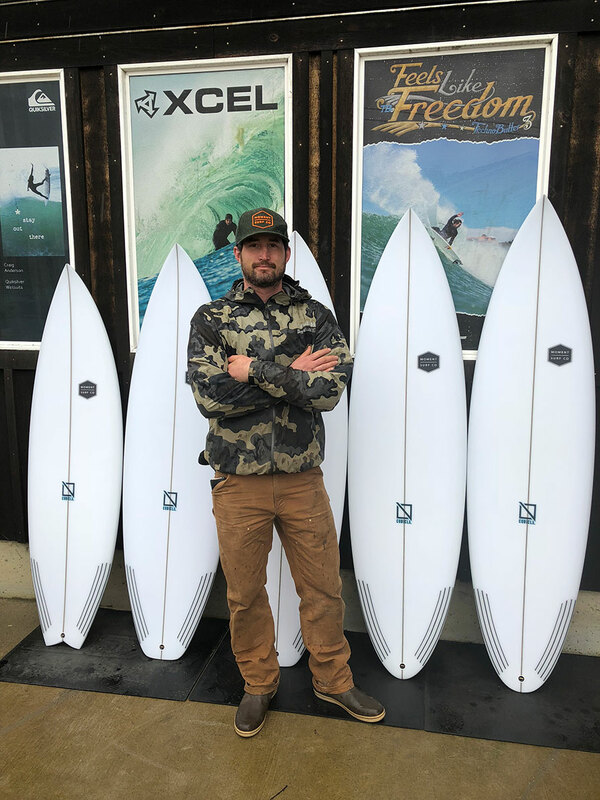 Whether you are already comfortable paddling out into surf that is too big for your standard shortboard, or you’re looking for a board to help give you the confidence to tackle pumping swell, it might be time to buy your first step-up! 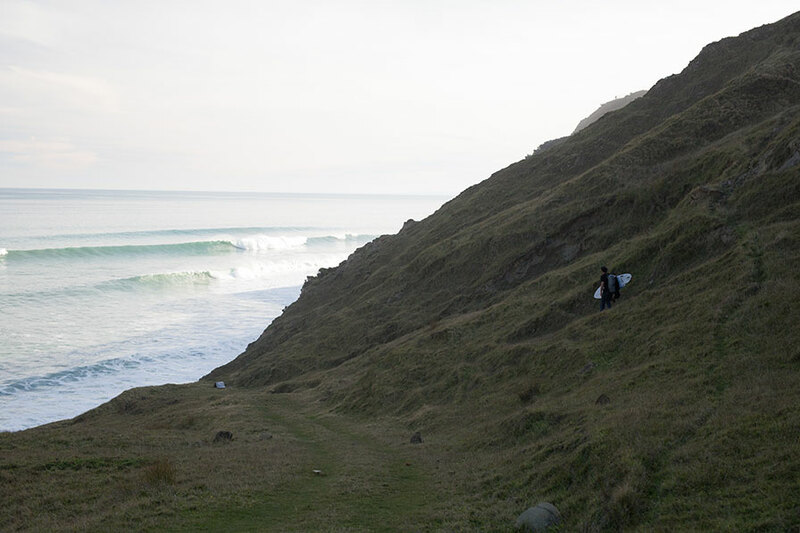 When conditions are like this, you'll need more than just a normal shortboard. Most shapers out there offer some kind of step-up model. If you have a go-to brand that you get your favorite shortboards from, this is the best place to start. Even if you do however, there is a lot of factors to consider prior to ordering one up. When you are talking about paddling out into waves that are dangerous or even life threatening, having the correct board under your feet is serious business. To help you through the process a little, we compiled some advice from our Team Riders and Shop Staff from when they are ordering their own step-ups. There is no better way than talking directly to a shaper, but if that isn’t an option, I hope this helps make your next board order easier. When picking a step-up for the fall and winter season there are a lot of options to consider. When making the choice, the first thing I ask myself is what type of waves do I want it to work on. Choosing a step-up for a double overhead outer beach break is going to be different than a slabby reef. For the first one, you’re going to want a lot of paddle power to cover ground so you can track down those roaming peaks. 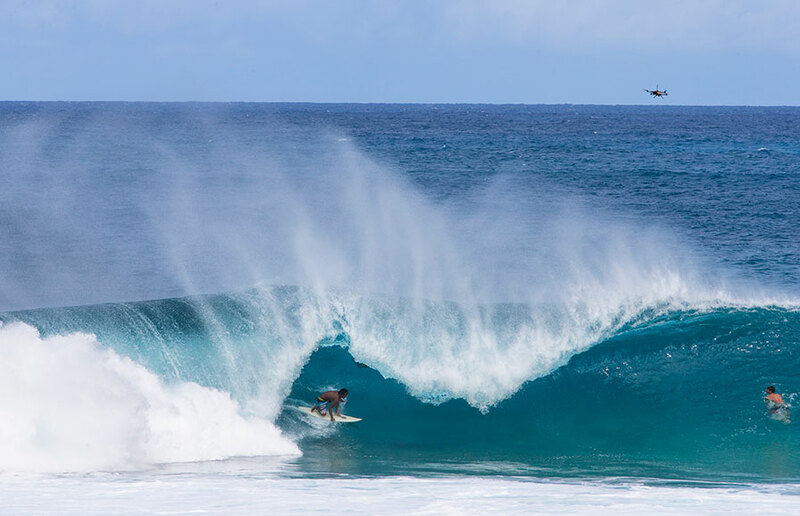 For a slabby reef, you’re going to need to get under the ledge and draw a tight technical line without a lot of length hindering you. However, most of us don’t have all the coin needed to purchase multiple boards a season. So trying to find a board that will do it all is the goal. Below are my suggestions for the best all around step-ups that can fit the bill. As a rule of thumb I try to make the first step-up in my quiver 2 to 4 inches longer and 2 to 3 liters of volume more than my everyday board. I’m 6’0 and 185 pounds. My everyday board is in the mid 29 liter range. All around step-up for 6’ to 8’ beach and point waves, my favorite is the Channel Islands Taco Grinder. 6’4 x 19 x 2 ½ with 31.5 liters of volume. If you’re going to get one step-up to do it all, this is the board. Whether you’re going to knife barreling beach break or surf some shifting overhead outer peaks, this board will get the job done. Don’t be scared to order it with a bit more thickness, I find they tend to be foiled pretty thin and volume is your friend when paddling into solid surf. For slabs and top to bottom beach break, I go with the Firewire Hydronaught. 6’2 x 19 1/16 x 2 ½ with 32.5 liters of volume. It’s not pretty to look at, but this board will get you over the ledge and under the lip in waves of consequence. The volume the board carries coupled with its shorter rail line will let you draw lines through the barrel you would be hard pressed to draw with a conventional longer semi-gun. Not the most amazing board for doing big open face turns because of the short rail line and radical concave, but if you’re looking to go straight and fast this is the board for you. Only comes in stock dims as far as I know, so order accordingly. I’d say the first thing is get a board that paddles well. You want to feel like you have some momentum in your paddle. This is going to require a bit longer and thicker than what the pros are riding, but this allows you to get in earlier and not have to be right in the hook to catch the wave. It’s intimidating enough out there and nothing is worse then paddling around for three hours trying to catch waves but getting blown out the back on all of them and realizing you don’t have the skills or balls to push over the ledge like that. I think when ordering a step up it really depends on what wave you are going to be riding. I like to ride super thick twin fin fishes (5’8 to 5’11) for waves you roll into more. It’s like riding a 7’6 except all the foam is underneath you and it gives you twice as much speed as a thruster step-up. I can catch waves where everyone’s sitting with their bigger boards, except I can actually make last minute maneuvers on the wave. Twin fins hold their speed better so I’m not stressed about losing momentum after a bottom turn and you need to hold your line on the upper half of a wave. I’m telling you, twin fins fly! 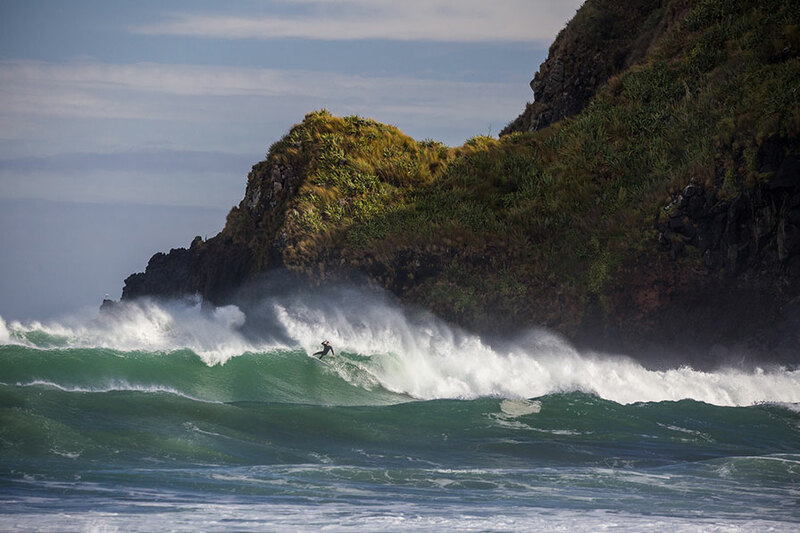 If it’s for a more steep and deeper wave like Pipe or some of our breaks at home, I’m definitely looking for a more narrow outline and round pin tail. My fishes tend to dig when the drops are more late and dramatic. I’d say the biggest deal is knowing what kind of wave you will be using it on. 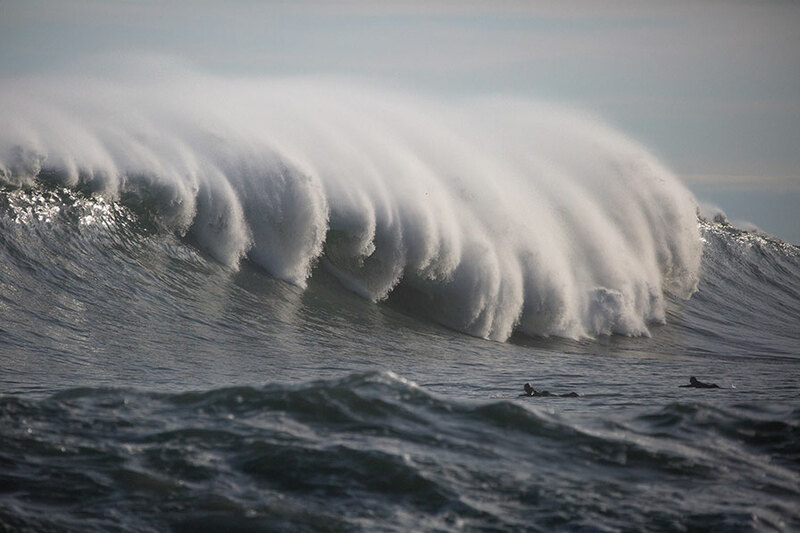 Pay attention to what other surfers around you are riding in similar conditions. It should be based on your height and weight, but keep in mind more volume is ten times better than too little volume. I have ordered enough boards for myself and customers to know that a quality shaper has done the testing and research to know better than anybody how to design a good step-up. If he has a model designed already, trust his dimensions and suggested volume. If you do feel like you want to customize your step-up, I suggest using the same width and thickness of your standard shortboard and adding 4 to 6 inches of length. This should add a couple liters of volume without drastically changing an outline that you are use to. The added length and volume will help you get into waves and down the line faster. Pull that tail in to grip the wave and help sink the tail at high speeds. Remember, volume is your friend so don’t be afraid to add more. There’s a couple styles of step-up’s you can get, and you’ll want to nail down what you’re really after before you place an order. If you want a board for waves that are overhead + to maybe double overhead with some juice, you’ll want what I call a mini step-up. Basically, I take my normal, go-to shortboard and add 2 inches to it, and go with a rounded pin for the tail. If I tweak any other dimensions, it would be to add just a touch of thickness (⅛” or less), and I would leave the width the same as your normal shortboard. This will give you a board that essentially feels like your normal shortboard, just gives you a touch more paddle power, and will hold better in bigger surf. If you want to surf waves bigger than that, I would jump up 4-6 inches, but don't go crazy increasing the thickness and width. If you do want to add more thickness, just make sure the rails stay relatively tapered. You don’t want corky rails in serious surf. Whether or not you need a mini-step up or a real step up, you’ll also need to make some other decisions about the board during your ordering process. Fin Setup - I pretty much hate quads, however I’ll get the 5 fin options for step-ups, because quads do admittedly grip the wave better, and when it’s hollow, that does help. It can’t hurt to have them in there even if you don’t use them all that often, (and I don’t buy that bs that you can feel the drag from the unused fin boxes, if the pro’s can’t, then you can’t either). Glassing - You’ll want a touch heavier glassing on your step up. Don’t go crazy here (especially if you’re actually ordering a mini-step up), but do add an extra layer of glass, or a carbon strip for strength. A nice new step up is great, but if it doesn’t last more than a few beatings, you’re not going to be stoked. I usually go 6x4x4 s glass for my step up (my normal boards are 4x4x4). I get S-glass instead of E-glass, which has a higher weight to strength ratio, and you can usually get away with a lighter glass job.